The SSA calls for a 2.8% COLA in 2019. This is the largest annual cost-of-living increase since 2012! If you recall, the 2% COLA increase in 2018 was nearly disregarded due to a $25 increase in monthly Medicare premiums. However, for the 2019 COLA, many retirees should see a real increase in their net Social Security benefits. For the first time ever, Social Security and Social Security Income (SSI) beneficiaries, who receive Social Security payments, won’t need to check their mailboxes for their COLA notice in December. Instead, you can login to your My Social Security account and receive your notice online. The official 2019 Medicare premiums won’t be announced until December. It is expected that high-income retirees will have to pay significantly more for the same Medicare coverage. This includes a higher expense for both your Medicare Part B premiums and Part D prescription drug plans. In addition, we will also see an increase in the maximum amount of earnings that are subject to the Social Security tax. When Medicare changes are announced, information will be available here. If you're approaching retirement, when you claim benefits is the most important financial decision you'll likely make. How old you are when you claim Social Security has a dramatic effect on the monthly benefits you and, if married, your spouse will get for the rest of your lives. Social Security can be a critical source of retirement income. You have an important, irrevocable choice to make. Social Security can be a family benefit. Social Security may be taxable. 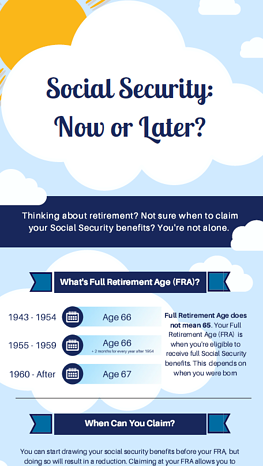 Download our FREE infographic to learn how to determine the timing that's right for you. 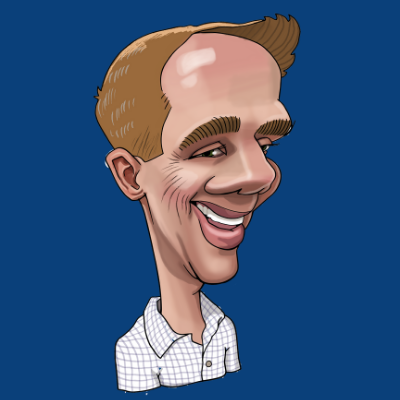 Kevin McVeigh, CFA is a Managing Director and Partner at Exchange Capital Management, a fee-only, fiduciary financial planning firm. The opinions expressed in this article are his own. Editor's Note: The post was originally published in October 2017 and has been updated to represent current rules, regulations, and statistics. Latest update was in October 2018.